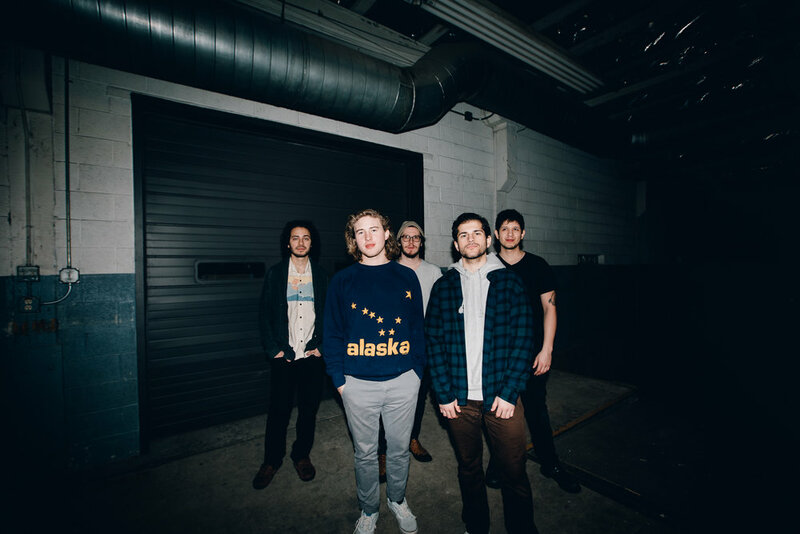 We recently caught up with the boys of Holly, in anticipation of their upcoming headlining show at Chop Shop with support from Wilde on Saturday, April 13th 2019 (All Ages, Doors 6:00PM). What better way to get to know the band than breaking down some of their favorite songs that have influenced their soulful sound? We asked them about how they collaborate, their combined re-location to Chicago and the tracks they chose to be featured on the playlist. The guys also recently played JBTV studios, and they were happy to share details of their experience performing at such an iconic spot. You can check out their set at JBTV here and listen to their full playlist featured on These Days Spotify account below. Can you tell us a bit about the selections of your playlist? Brandon Coutoure: Bring It On Home To Me (Live at the Harlem Square Club 1963) by Sam Cook - This entire live album is incredible, Sam Cook has the audience in the palm of his hand the entire night. The band is brilliant and Sam gives everything he has into his performance. This song in particular has such a raw power to it, you can't fake that kind of emotion, you have to really feel it. Impossible Germany by Wilco - Over the last year I've rediscovered my love of Wilco, but I've especially discovered how brilliant a guitarist Nels Cline is. I've been learning a lot about guitar and how to build emotion through my playing listening to him. Jeff Tweedy is genius songwriter as well, and there are so many songs that are beautifully written, but this song has really taught me a lot in the last year. American Idiot by Green Day - I have to include this song as it's the song/band/album that made me want to play guitar. I was 12 years old when I saw the music video for this song and I knew immediately that I wanted to play guitar in a band. Rafe Soto: I added Wes Montgomery and Kevin Parker (Tame) to this playlist for a couple reasons. Wes Montgomery had a groundbreaking and unique method on the guitar and was able o conquer any melody. both artists have very signature ways of playing and I think it's awesome when players own their own style. Kevin Parker is a DIY musicians spirit animal. Which specific songs on the playlist influence Holly's music? How did you all come together as a band and how to you approach creating music together? Tell us why you chose to be here? What do you love about the Chicago music scene? Dominic Zeier: I got involved with coming out to Chicago primarily for college at first. I wasn't entirely happy with the first college I attended and when I moved back home, my biggest reason for coming to Chicago a lot was an internship at Lincoln Hall doing sound. That's probably when I realized I really liked being involved with the music scene and had to be closer to the action since driving was costly and took too much time. I think what I love the most about the Chicago music scene is how small and tight knit it really is as a community. It's a rather large city, yet it's so nice seeing familiar faces from both the production teams, to the musicians in bands quite frequently. I love seeing my friend's working tech and playing in various band and various genres for different occasions. Rafe Soto: It wasn't so much of a planned relocation, I think all of us from Elgin wanted to live in the city pretty much our whole lives and it was not a coincidence that we were able to find other top-notch musicians to join us. We chose to be here because it's a metropolis for music. The best music will always roll through here. I love that I can walk down Milwaukee Ave in the summer and *could* catch parts of 10 different shows in one night(If i had the money). Brandon Coutoure: I've always loved Chicago and it's such a huge music hub. The city has such a rich history with music from it's blues roots, a huge hip hop community, and bands like Wilco and Whitney. It seems like the music from this city has an honesty about it which has always drawn me in, maybe it's a Midwest thing or the long cold winters, but I think there's something raw and powerful about that which is hard to beat. You recently performed on JBTV? How was your experience? Dominic Zeier: Performing at JBTV was a blast! The size of the crowd was rather exciting, especially with the rainy weather that day. A big thanks to Jerry Bryant, the whole crew there, and our friends and family who made the time to come out that night! Brandon Couture: Playing on JBTV was surreal! Growing up in the suburbs everyone in the local music scene knows JBTV, it’s our own local MTV, and it’s a dream come true to have played there. Some of my favorite bands have played on that show over the last 30 years, Green Day, The Smoking Popes, Wilco, it’s an honor to be a part of that history. Check out Holly’s full JBTV set below!